The journey Along The Old Straight Track (see what I did there?) 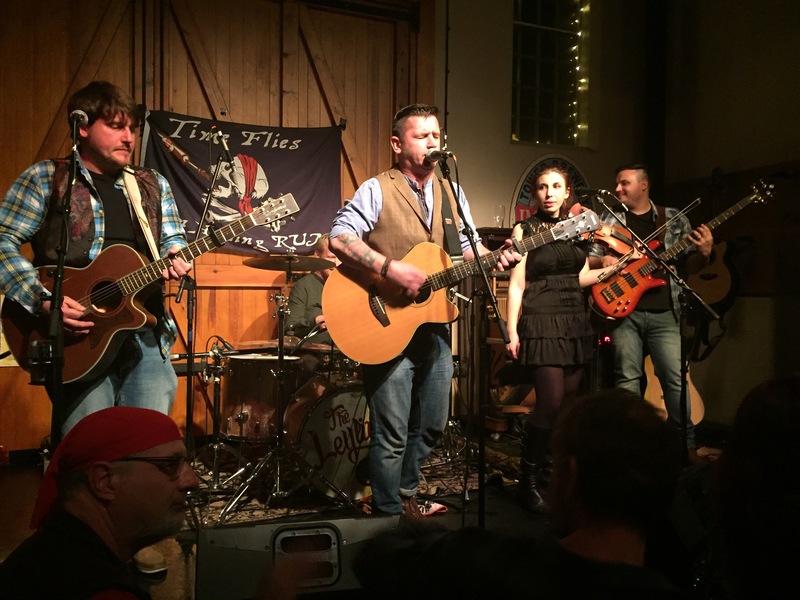 had a rocky final straight for The Leylines – a slick crowd-funding campaign and dual launch party had the fly in the ointment of technical problems leading to a delay for the physical release. Hey, these things most definitely happen – it makes the waiting all the sweeter. Technically I’m still waiting – someone (Pete!) had the temerity to go on holiday before getting a chance to add his moniker to the signed album that I’d backed in the campaign. However, I was lucky enough to get my mits on a friend’s copy for a long awaited listen (thanks Andy!) – Ella and I sat and hammered it a few times on the drive back from Ey Up Mi Duck, and I’ve been getting to know it a fair bit in subsequent days. Songs that are immediately familiar from an increasing number of live performances I’ve seen from the band burst forth even more polished and shiny thanks to the tender production of Sean Lakeman and mastering from Al Scott. I’m a big fan of the imagery and packaging, a woodland scene overlaid with the band logo and the album title – a reference to Alfred Watkins’ 1925 book The Old Straight Track – which presented the theory of, well, ley lines! Without blowing my own trumpet I might just have led them down this particular line (or track) of thinking, suggesting the book title to Steve on Facebook when he was inviting folks suggestions for the name of the album. Inside you’ll find the band looking moody (aside from Pete) and a lyric/credits booklet. 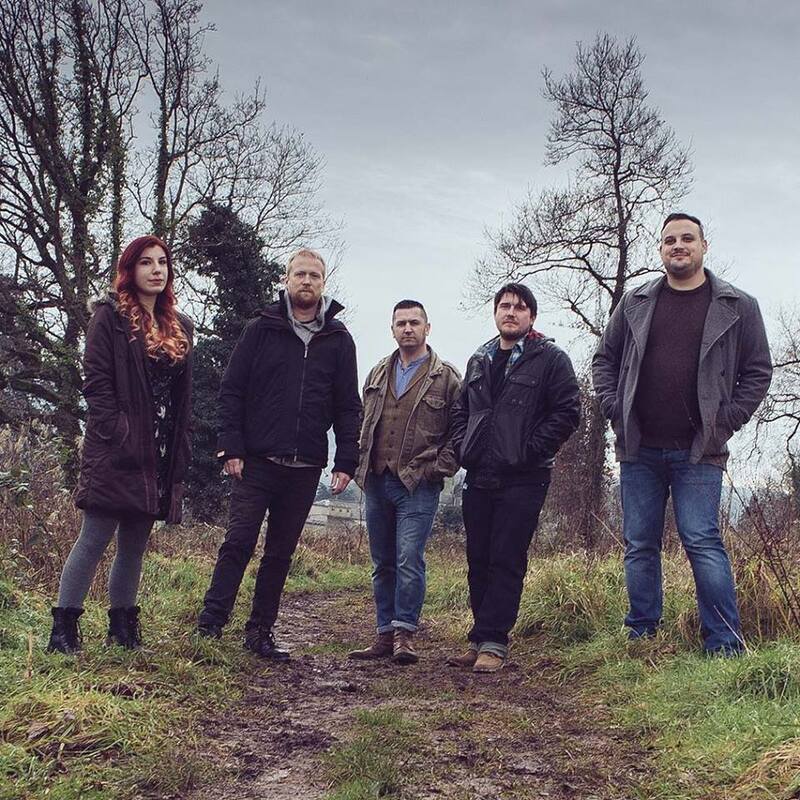 I was surprised (but not unpleasantly) to find My Own Worst Enemy kicking off the album – serious, introspective and passionate, a descent into hopelessness (with a hint of redemption or victory thrown into the mix). Whilst it feels like you know songs well from live gigs, it’s good to hear them recorded and have a lyric sheet to look at to really get under their skin. Next up is the contrasting overtly feel-good and unnecessarily catchy Sat In A Field – particularly apt for our first listen having just driven off a field having consumed a fair amount of cider in the sun! Let It Go was the title track for the EP the band previously released, probably the first one I really got to know – the delicate start kicks in to that irresistable singalong chorus. The fiddle intro for Sorry My Friends brings in the clear influence of The Levellers, even before you consider they recorded the album at Metway Studios! The pace slows right down with guitar picking and harmonics for Save Your Soul – it’s the track that makes Addie get all emotional at gigs, I’m sure the album probably does the trick too. As the song builds there’s gentle fiddle refrains then as you get close to three minutes the full band kicks in to give it some bassy oomph. Next is the track Steve always introduces by saying it’s about that family member everyone has. If you don’t know who it is in your family, it’s probably you. You’ve Changed, a sad song that belies its upbeat pace of what seems to me a formerly strong family bond decayed. Initially when listening we were worried Steve wasn’t rolling his ‘r’ enough in the line ‘precious time’ – but he does, it’s okay! Things I Know I fancy is political – accusations are finished with an assertion that justice will be done, let’s hope so! The Reasons is a jaunty singalong, one of my favourite live dancing songs – as the CD wound its way around in the car Ella was craning towards the speaker suddenly. 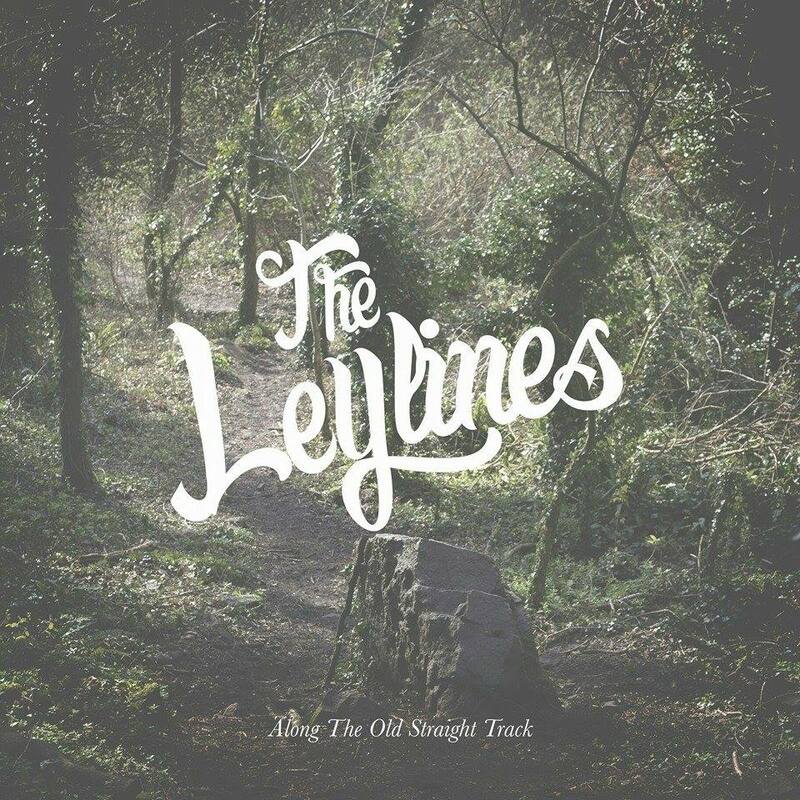 A bit confusing until I remembered she’d joined the backing vocals for Run For Cover – this is the stand out track for me, partially out of a hint of biasedness maybe but largely because the more raucous backing vocals are more true to the live sound I love so much from The Leylines. If I’m being hyper-critical some of the tracks gone a bit too saccharine in production. That’s probably a matter of personal taste though – I normally prefer bands live! Whilst I’ve thoroughly enjoyed all the tracks for me the arrangement definitely has the strongest tracks for the finish – after my favourite Run For Cover we are treated to Gotta Get Out of Here – keyboards swirl along with mandolin and Steve really lets his vocals go. Then giving Run For Cover a serious run for its money on the favourite track stakes is For Queen and Country – it starts as a lament in the opening verse before you’re blasted with the venemously accusatory chorus, bringing you back down with the continuation, an epic fiddle solo and the sad-yet-passionate final lament of ‘not coming home..’. Well worth the wait and the hype – this is a lovely collection of familiar songs presented from the studio – they’ve been lovingly produced. As alluded above, like most of my favourite acts when recorded it doesn’t quite capture the joie de vivre of the live experience – maybe that’s because I’m not watching them perform, dancing with friends – who knows? If you haven’t already availed yourself of a copy then you really should get it ordered. I can’t wait for my package to arrive once Pete’s finished sunning himself! The Leylines are appearing at lots of festivals I have in my diary so I’m looking forward very much to being able to sing along properly now with a bit more confidence in actually knowing the words!